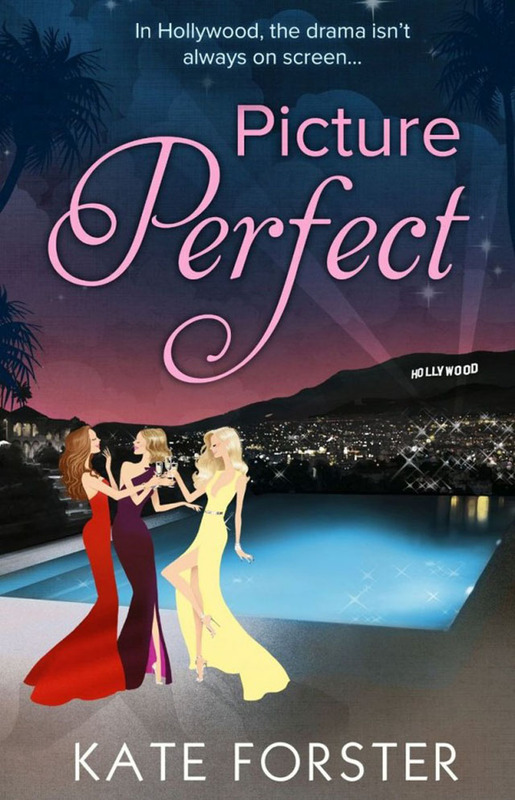 Picture Perfect follows three women, a Hollywood agent, a veteran actress and a young hopeful who get swept up in the search for actress who will score the role of a lifetime. Powerful, light-hearted and emotional, Picture Perfect boasts everything you could want from a good chic-lit novel; romance, comedy and drama. The book hooks you in straight away with its prologue, a flashback to a time before Hollywood as two young girls make a difficult decision about their future, one that will impact their lives forever. Suddenly, we’re back in modern day, as we join main characters Zoe and Maggie at a glamourous Hollywood party. The phrase ‘don’t judge a book by its cover’ certainly applies to Picture Perfect. The stylish front sleeve gives impression of a book that’s packed full of Hollywood glamour but its about so much more. In the midst of this brassy, emotional and glitzy novel is a story about teenage pregnancy, abuse and neglect, and two young hopeful girls dreaming of a better future for themselves. Author Kate Forster cleverly flips the narrative from one character to another so the reader can truly understand the motivation behind each character and as the book progresses, you begin to see how their stories are intertwined. 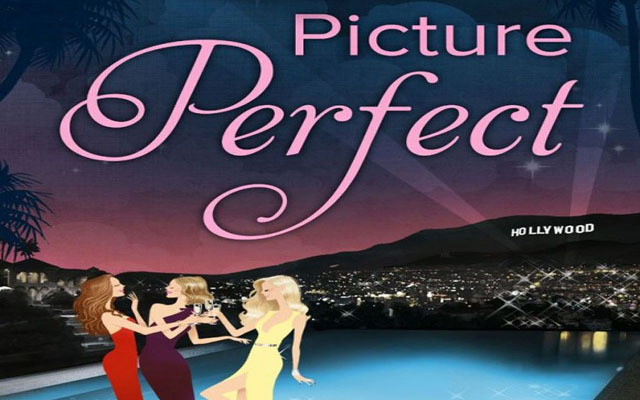 Picture Perfect centres around three main characters; Zoe Greene, Maggie Hall and Dylan Mercer. Zoe Greene is an agent to some of Hollywood’s biggest stars and wants to bring a heart-breaking novel to the big screen. Gutsy, ambitious and eager to prove herself, Zoe’s life centres on her work. This is Zoe’s big break and she wants to do it right, even if it means losing a few friends along the way. Zoe is so caught up in trying to prove herself to the studio head Jeff Beerman that we hardly ever get to see the ‘real’ her but as the book develops, we start to learn more about her past and why she shields herself away from love. Actress Maggie Hall has been America’s sweetheart for nearly twenty years and wants to play the lead role in the movie Zoe is producing but fears she’s too old for Hollywood. In contrast to Zoe, Maggie wears her heart on her sleeve and of all the characters in the book, Maggie is the one that the readers can truly relate to. Add a little romance into the mix and you can’t help but want her to succeed. Finally, there’s Dylan Mercer, a beautiful and defiant young woman who has run away from New York to search for her biological mother. Kept in the dark by her adoptive parents, Dylan is on a mission to find the woman who couldn’t keep her. Dylan is the key driver to the story and the eventual link between the characters, bringing the story to its conclusion. Of course, there are plenty of supporting characters, each with their own shining characteristic including Elliot, a young man who was recovering from serious heart problems, Hugh a troubled author struggling to get over the death of his wife, and Jeff, the egoistical and arrogant studio head who is in financial difficulty. Whilst Picture Perfect is an enjoyable read, the book isn’t without its flaws. As with many chic-lit novels, the storyline is a little predictable at times. The climatic ending between the three main characters also felt a little rushed. Within a few pages, a lifetime’s worth of questions seemed to be answered and I personally would have preferred to follow the characters for a little longer on their journey. Having said that, I found Picture Perfect to be a light-hearted easy and enjoyable read and would certainly recommend it.